Cusco city tour you will explore the best in a half day city tour, visiting the most beautiful and important neighbourhoods, streets, plazas, temples and markets: Amaze yourself with the magnificent architecture of the Colonial buildings lying over the Inca foundations, visit the San Blas area where local artisans produce and sell their own product, walk the ancient street of Cusco along the temples and palaces. To later finish visit Saqsayhuaman, Quenqo, PukaPukara, Tambomachay. 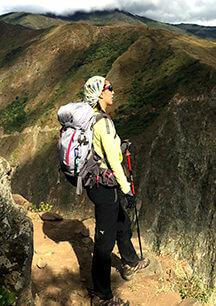 The perfect opportunity to explore Cusco city and the surroundings as you acclimatise for you trekking, combining the beautiful Plaza de Armas, 12 angles stone, Loreto street, Koricancha and walk around the fantastic 4 archaeological sites outside of Cusco, will give you a glimpse of what is coming up on the next days.